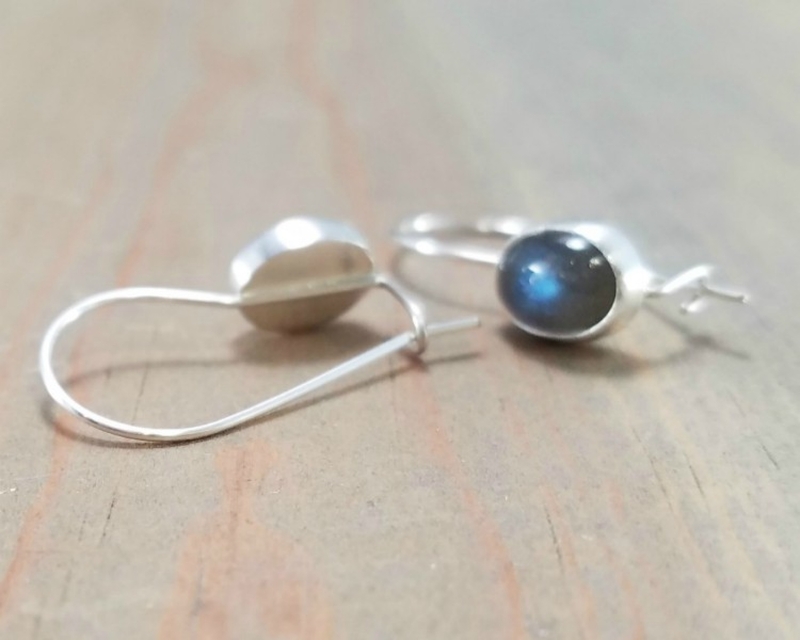 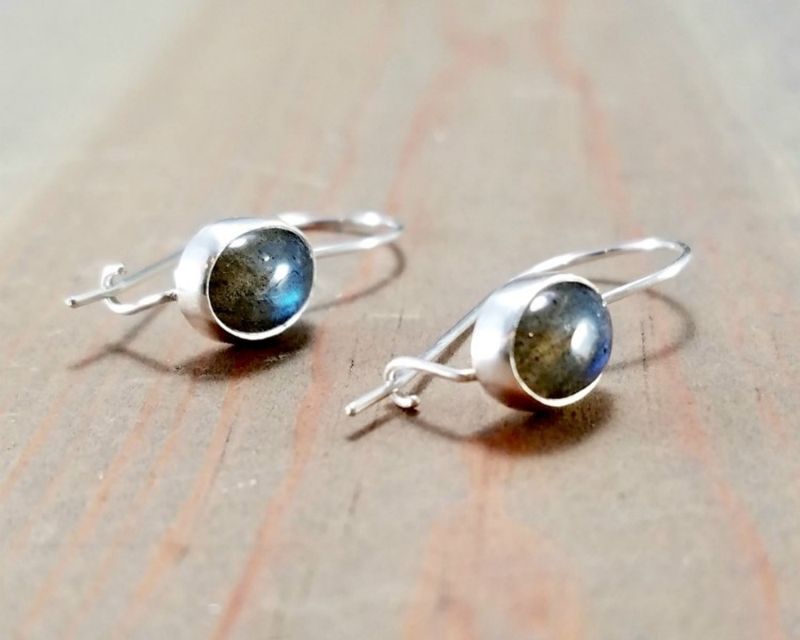 You'll love these oval labradorite earrings with a locking latch back ear wire. 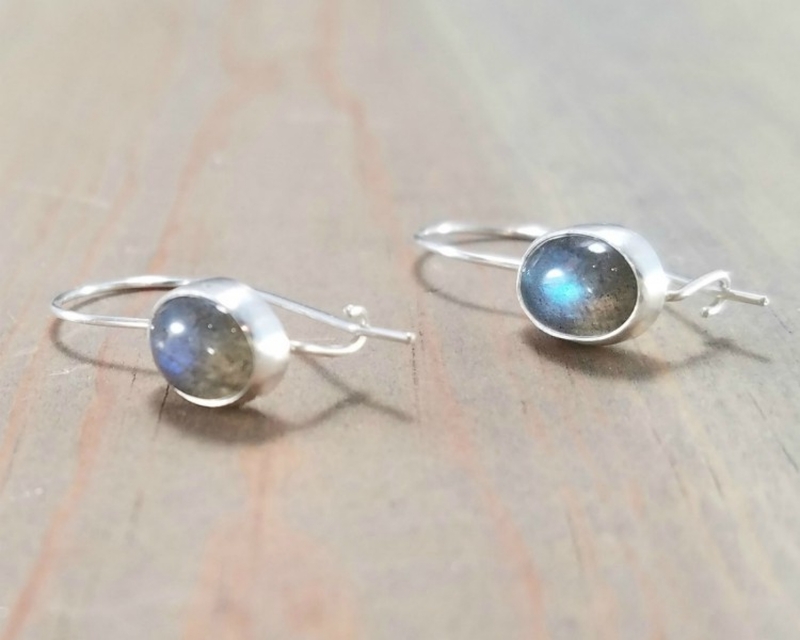 This lightweight and understated minimal style is very comfortable to wear. 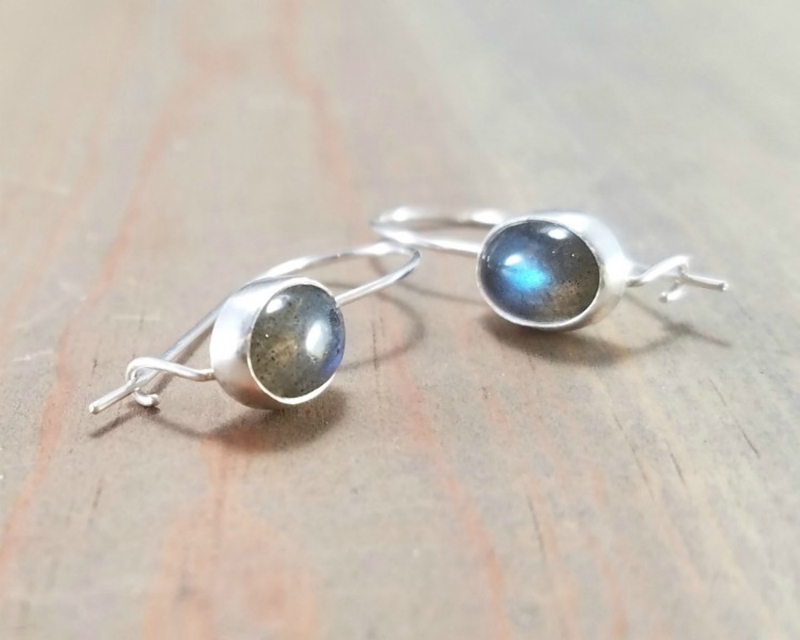 These labradorite stones have lots of blue in them. 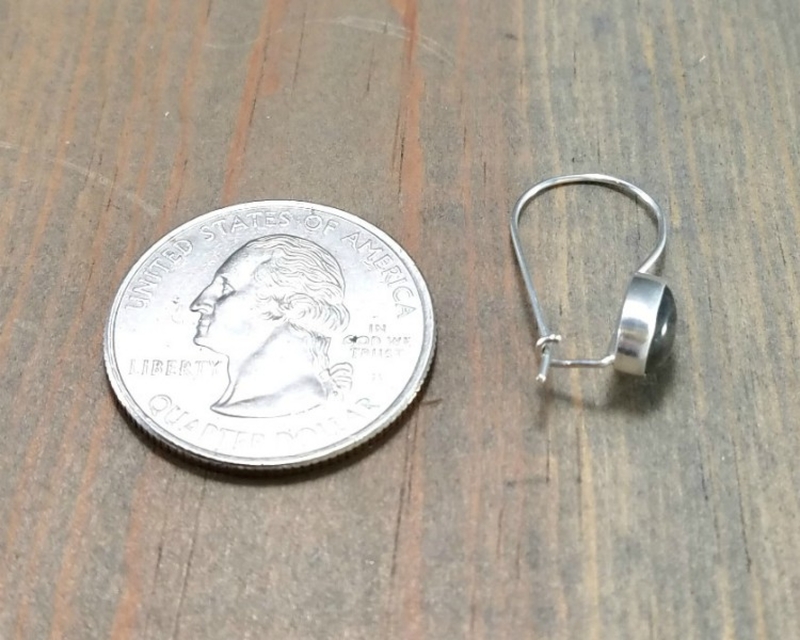 Earrings measure about 1 inch from top of ear wire to bottom of bezel. 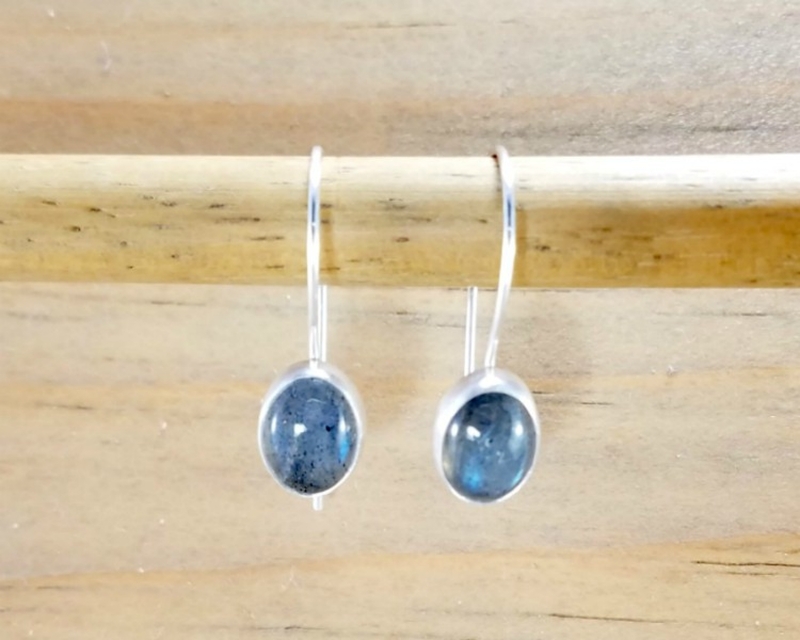 Each pair is individually handmade so dimensions vary slightly and all stones are unique.